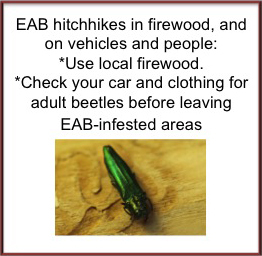 How do I know if my tree is an ash? There are a few species of ash native to Canada; their natural ranges are primarily in southern parts of central and eastern Canada. It has been planted extensively in urban areas outside of its natural range because of its fast growth and its ability to tolerate urban conditions. 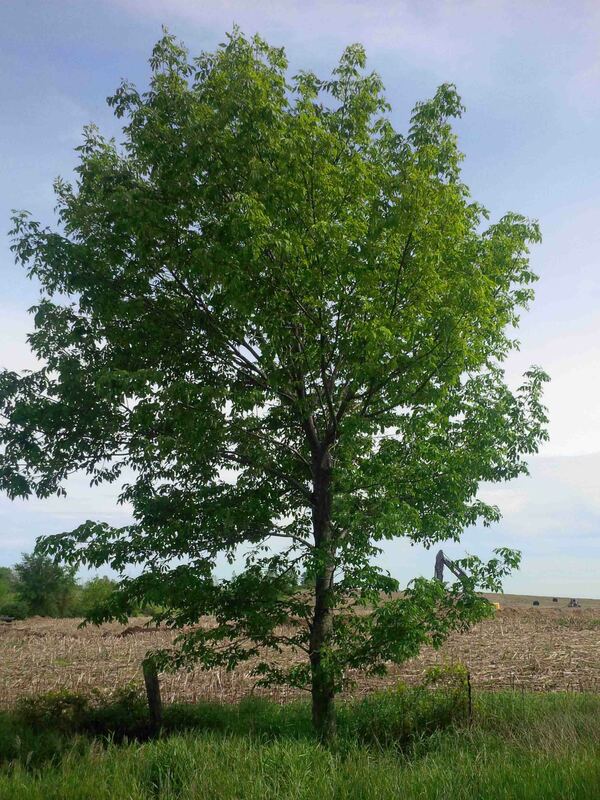 Healthy green ash (Fraxinus pennsylvanica). Image: Chris Gynan, Silv-Econ Ltd.
1. Look at a limb of the tree. 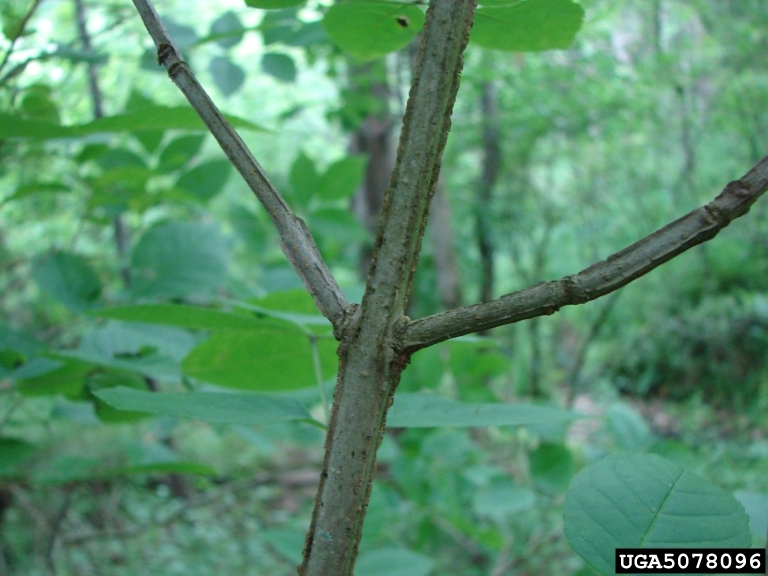 Are the twigs opposite to each other where they attach to the branch (as opposed to alternating)? If the tree has twigs that emerge from the branch opposite to each other, it may be an ash. Look at several sets of twigs though, sometimes twigs have broken off. Ash branch with twigs opposite. 2. Look at the leaves of the tree. 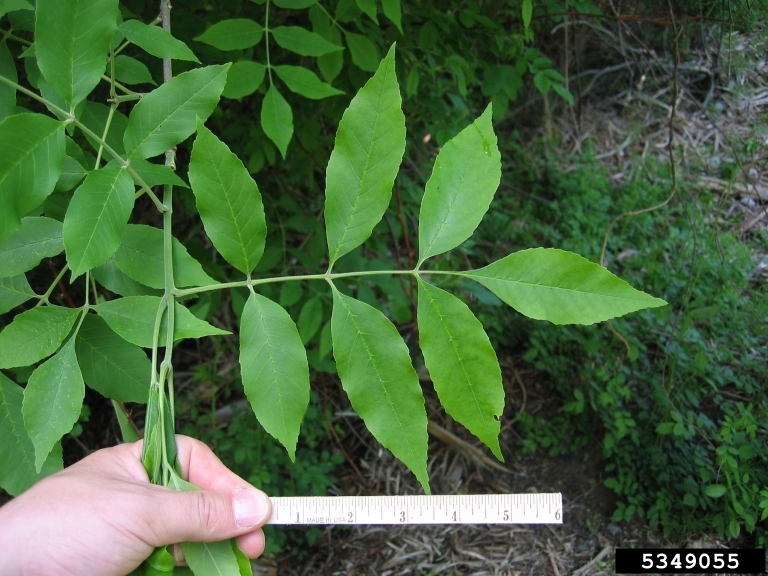 Ash trees have compound leaves. A compound leaf is divided into distinct parts called leaflets, unlike a simple leaf (like an oak or maple) which is one piece. Ash leaf: compound leaf with 7 leaflets. 3. Ash leaves have 5-11 leaflets attached along a central stalk - 1 at the end of the stalk, and the rest arranged opposite to each other in a feather-like arrangement. The edges of ash leaflets will be either smooth or very finely toothed. 4. 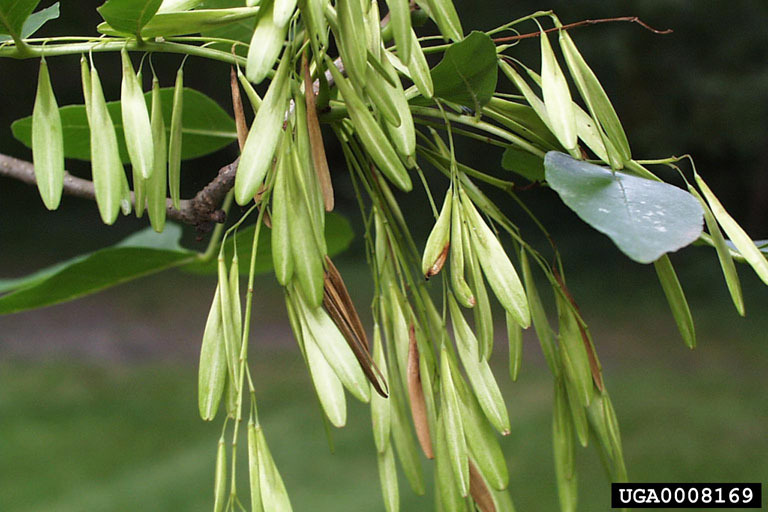 Only female ash trees produce seeds and many trees planted in urban areas are male, so your ash tree may or may not have seeds. Ash seeds, when present, are oar-shaped and grow in bunches.